Gillum gets a couple key endorsements ahead of tonight's Democratic gubernatorial debate. 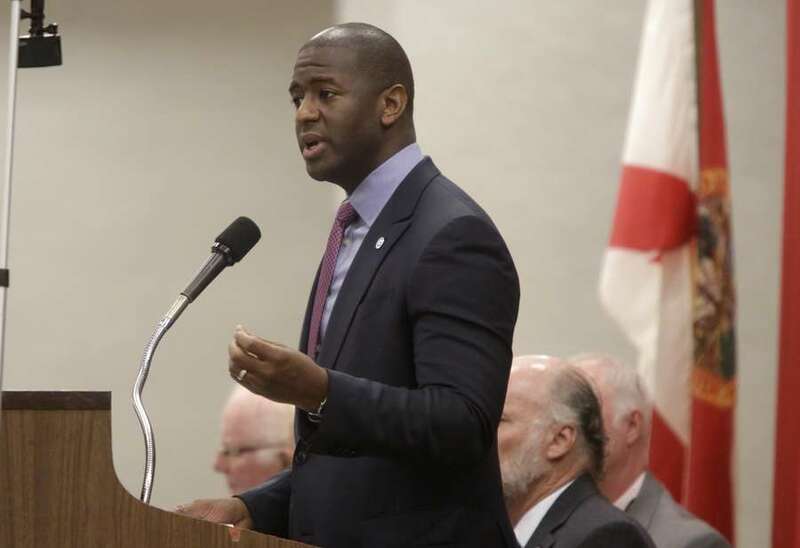 The Democratic Progressive Caucus of Florida has picked its candidate for governor: Andrew Gillum. The group announced its endorsement in a Wednesday afternoon release, just hours before the five Democratic candidates for governor are set to debate in Fort Myers. Read more about the debate here. "His personal story, progressive activism, and professional accomplishments set him apart from an impressive field of Democratic candidates," Susan Smith, President of the Caucus, wrote in the release. Smith wrote that her group, which is an officially chartered caucus of the Florida Democratic Party, supports the Tallahassee Mayor's stances on gun control, raising the minimum wage, immigration and health care. The endorsement came just a day after Gillum nabbed another prominent endorsement, from Aramis Ayala, Florida's first elected African-American state attorney. And Wednesday Gillum also gained the first ever endorsement from the Florida Immigrant Coalition. Gillum is running against Chris King, Gwen Graham, Philip Levine and Jeff Greene for the Democratic nomination for governor. The primary is August 28. The bill cleared a key hurdle Thursday morning when the House State Affairs committee agreed unanimously to advance the proposal, after more than an hour of discussion marked by teary testimony and lawmakers’ vocal support. While Democrats pushed back in debate, bill sponsor Rep. Jamie Grant says the point of the bill is to provide transparency for voters and to protect the state’s constitution. The report also showed the Republican’s campaign promoted Russia-concocted pro-Trump rallies on Facebook, including a Miami event. The move was a bout of political gamesmanship in the final weeks of session.